No, it’s their infuriating habit of pitching credit cards to passengers on every flight. For example, while I was trying to sleep on the red-eye I took last week. I find the two- to three-minute pitches really annoying. 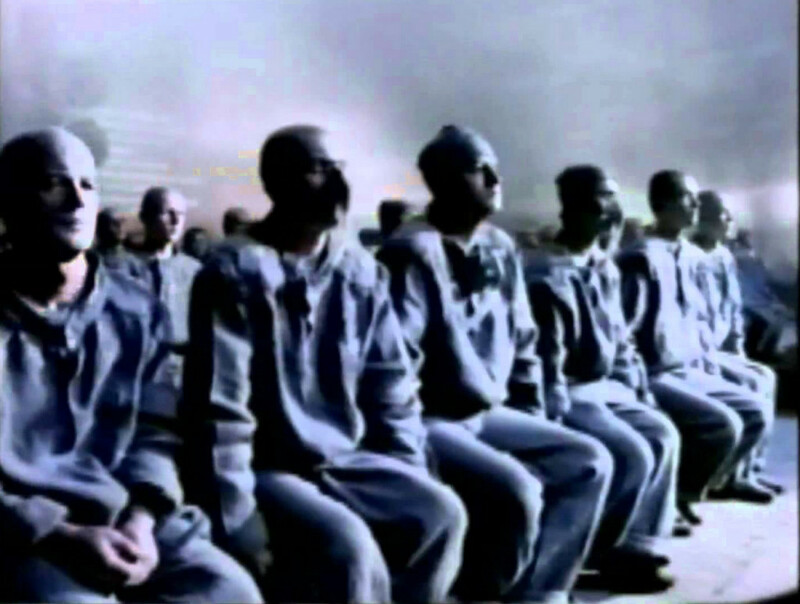 We are literally a captive audience, strapped into our seats with nowhere to escape. To add insult to injury, The Points Guy reports that many of the claims made for the credit card are misleading or simply incorrect. Actually, Sunny, you’re not talking with your customers, you’re talking at them. There’s a big difference. One thing @AmericanAir needs to stop harassing their valued customers with; the incessant, intrusive, shrill–and decidedly false-statement-ridden– in-flight credit card pitches. It’s awful on @AmericanAir. 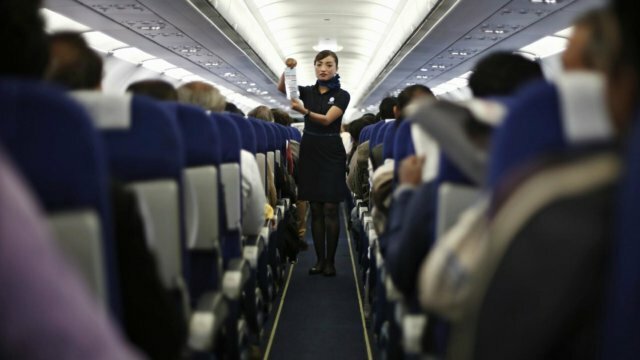 The airline claims flight attendants are there primarily for our safety. Except when they’re obnoxiously hawking credit cards multiple times over the PA during the same flight. Why does American Airlines do this? Besides annoying the heck out of me, I’m at a loss to understand how this is a good business decision. —Is the revenue they receive when some hapless passenger signs up a significant boost to their bottom line? —Are flight attendants so eager to supplement their salaries (apparently, they get ~$50 for every new customer) that they beg the airline to add extra work to their flight duties? —And, most importantly, does American Airlines think that pitching their credit card on every flight to captive passengers improves their brand? Even if American Airlines truly believe that hawking credit cards to a captive audience is a good thing, they don’t have to do it in a way that annoys almost everyone on the airplane. Edward Pizzarello notes that United Airlines also pitches cards on their flights, using a classic marketing technique that is far less intrusive and, I suspect, far more effective. It amazes me that AA doesn’t realize (or doesn’t care) that customers are turned off by brands that spray unwanted pitches on trapped consumers. Frankly, I’m pessimistic that American Airlines can change the culture that leads to this kind of clueless marketing. A final piece of evidence: the American Airlines pitch for paying more for seats that are as roomy as those they provided standard five years ago. We call it Premium Economy. You’ll call it the seat you’ve been waiting for. Is it possible to transform dysfunctional corporate culture like that of United Airlines into the employee engagement of Southwest or the indifferent customer service at Kmart into the customer-first approach of Wegmans? After over thirty years working with organizations, I think that it’s possible to change organizational culture — but it’s far from easy. First, many organizations are in denial that there’s any kind of problem with their culture, and getting leadership to think otherwise is an uphill or hopeless battle. Second, if an organization does get to the point where “we want to change our culture”, there’s rarely an explicit consensus of what “needs to be” or “might be” changed. Third, culture is an emergent property of the interactions between people in the organization, not a linear consequence of deeply buried assumptions that can be challenged and “treated” in isolation. 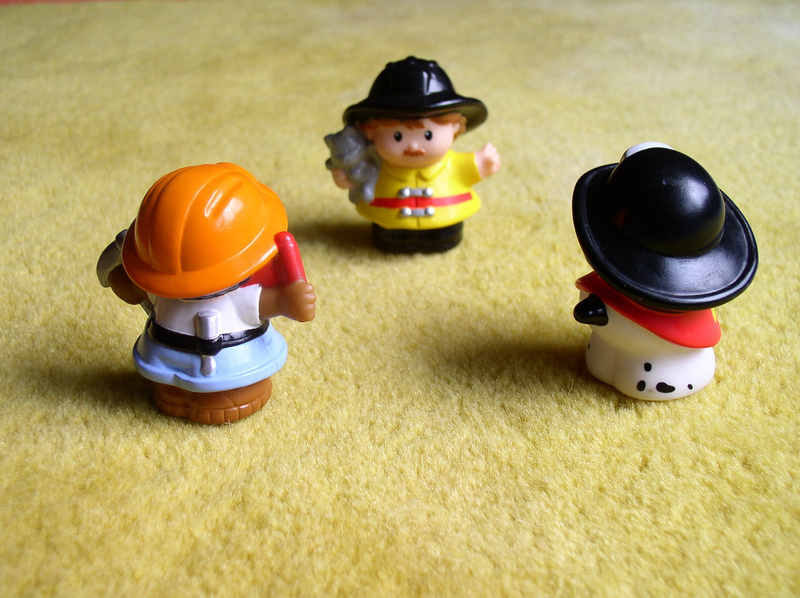 Prescriptive, formulaic approaches to culture change, are therefore rarely if ever successful. Finally, organizational culture self-perpetuates through a complex web of rules and relationships whose very interconnectedness resist change; even if you have a clear idea of what you want to do, there are no uncoupled places to start. So, what might we be able to do? For concise advice, I recommend Chris Corrigan‘s excellent article The myth of managed culture change. Read it! This is why process tools like those included in The Power of Participation are so important. Imposed, top down culture change regimes attempt to force people to do things differently, a process that Chris describes as “cruel and violent”. Participation process tools that allow people to safely explore interacting in new ways allow organizations to transform through the resulting emergent changes that interaction tools facilitate and support. 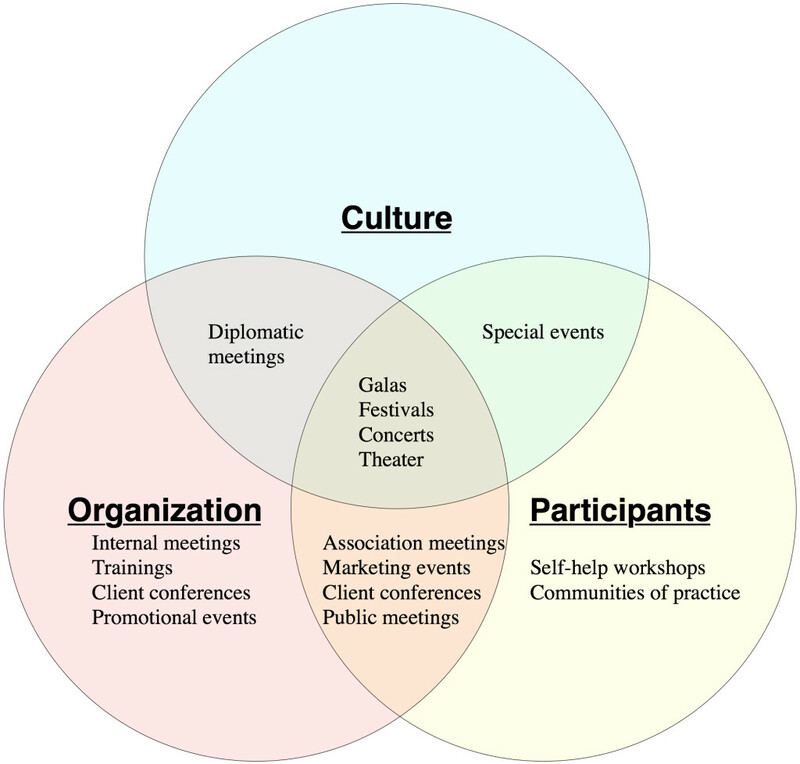 A powerful question: Whom is your event for? Whom is your event for? These so-called mini-roundabouts could be made smaller than previous versions because they allowed the rear wheels of large vehicles to drive over the edge of the central circle when making tight turns. While in London last year I saw the most recent evolution of the British roundabout. The physical barrier of the central island has completely disappeared, and the roundabout has just become a simple painted circle, with directional arrows painted on the road surface. When we are facilitating a desired change, we need to communicate clearly the change we want to make. 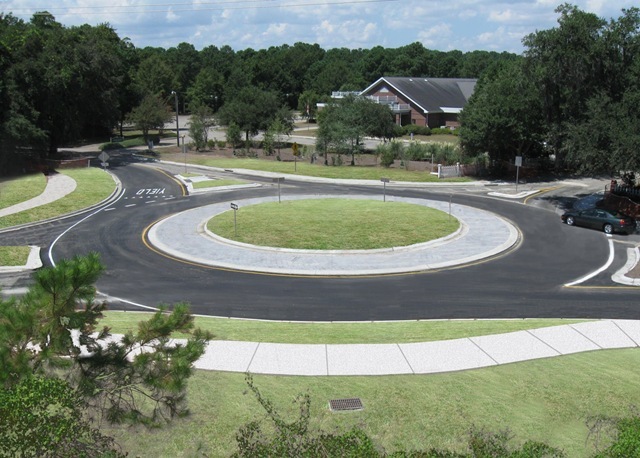 Think about what would have happened if the plain white circle roundabout was introduced as the initial replacement for the street intersections that human cultures have used for thousands of years. People would not have understood how it was supposed to function. Without a physical barrier forcing a circular route, drivers would have been tempted to drive straight across it. The first roundabout design had to impose a fundamentally different way of navigating intersections; otherwise it wouldn’t have worked. It’s easier to facilitate change in small increments than in large leaps. 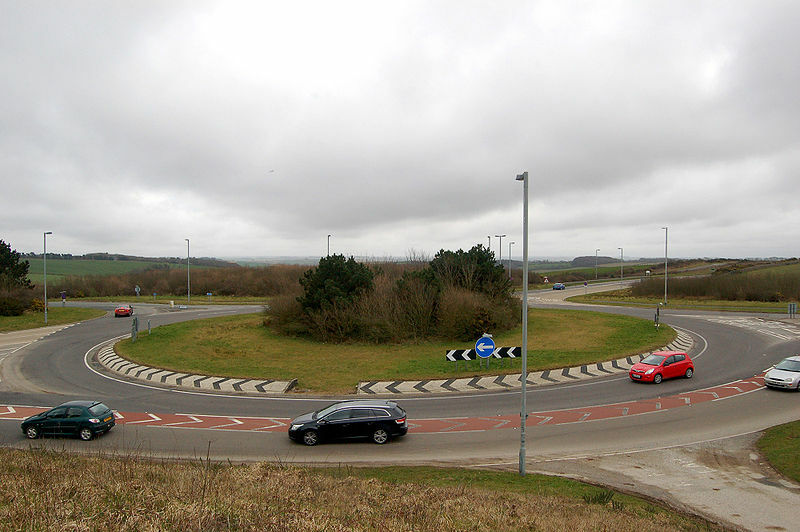 By the time the plain white circle roundabout was introduced, the concept of driving around, rather than through, circular objects placed at the center of intersections had been imprinted on the British drivers’ psyche. The final design is quite different from the elaborate early roundabouts, but it was reached through a series of incremental design refinements. Change is attractive if the new situation has advantages. 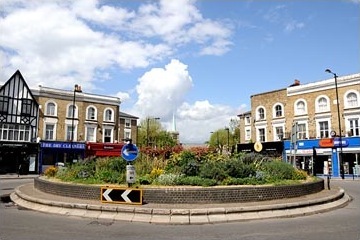 Each change in the design of the British roundabout created advantages for the builders (less expensive), environment (less space wasted at intersections), and users (more space to negotiate the intersection). While the promise of an improved outcome does not guarantee that a change will occur, it certainly can’t hurt. Are there other lessons we can learn from the British roundabout? What other design evolutions can you think of that teach lessons about facilitating change? [During the session] I witnessed colleagues who were in very real pain surrounding this issue…I felt happy to share my own personal struggles and offered ongoing communication with my peers to help support one another as they also offered the same to me and others.